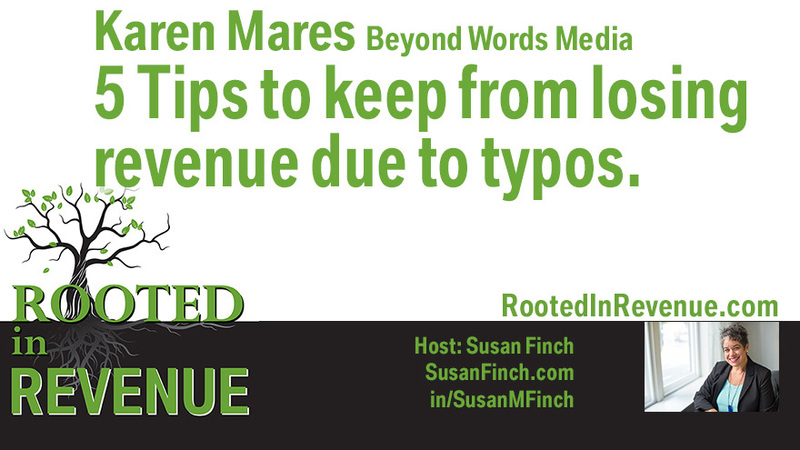 Typos on your site can cost you money - tips to fix it. Karen and Susan cover where the typos are and how it can affect your credibility and make it more difficult for your sales team to build confidence with prospects. Listen to the full episode to get examples, details and an action list. Susan's List of task reminders to keep it current. Karen's secret tool to help you find the typos fast. Check your own site for links to internal PDF files, videos on a YouTube channel, too - those change over time, especially since people are converting personal channels to business channels. 1. Find the top pages for a YEAR that you need to start with checking, and go through the entire list. 2. In search console, check errors from crawls. Find out what's broken and what site or page is leading them there. Need help? Contact Susan Finch. Sometimes you just need help getting started.